What I know about Yves Saint Laurent, the fashion designer, as opposed to his enormous, well-known cultural celebrity, is limited to sewing up some of his “rich peasant” and stunning Russian collection designs off of Vogue patterns in high school. Before collecting plants and obsessing over gardens, I collected fabrics and obsessed over….well, mostly fabrics really. I never made the jump to obsession with high fashion, though there was a short stint in dress-making and pattern-making school. But as it happened, Saint Laurent did something later in life that left even those clueless about haute couture forever in his debt. 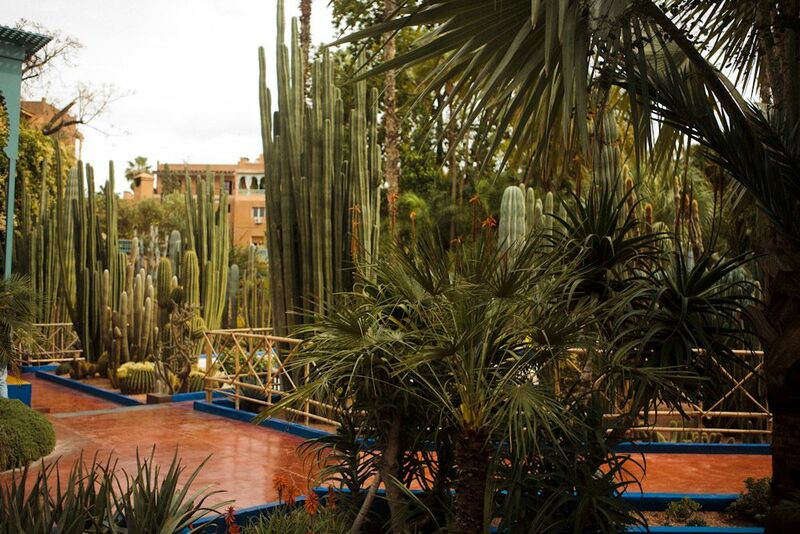 He bought the fabulous Jardin Marjorelle, where the pigment bleu Majorelle was born. 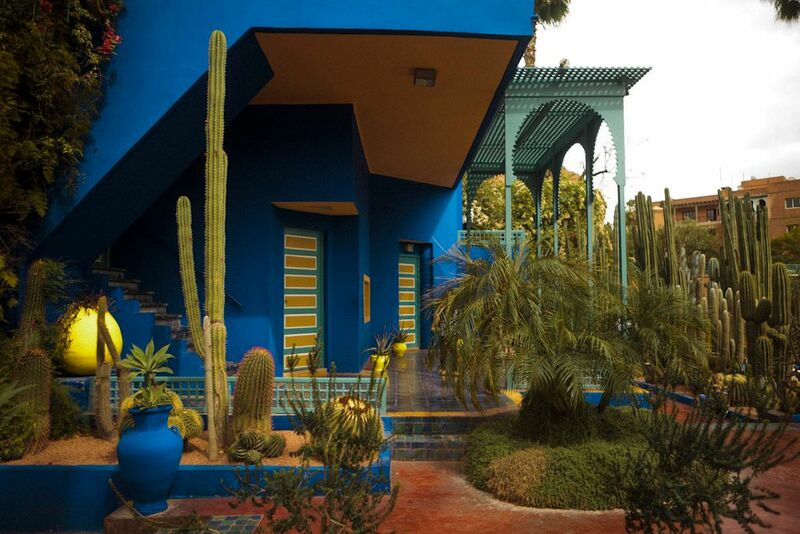 If you’ve ever painted a garden wall or a fence, as I did, a vivid electric blue, knowingly or not, this garden in Morocco created by French painter Jacques Majorelle is the source of that gesture. 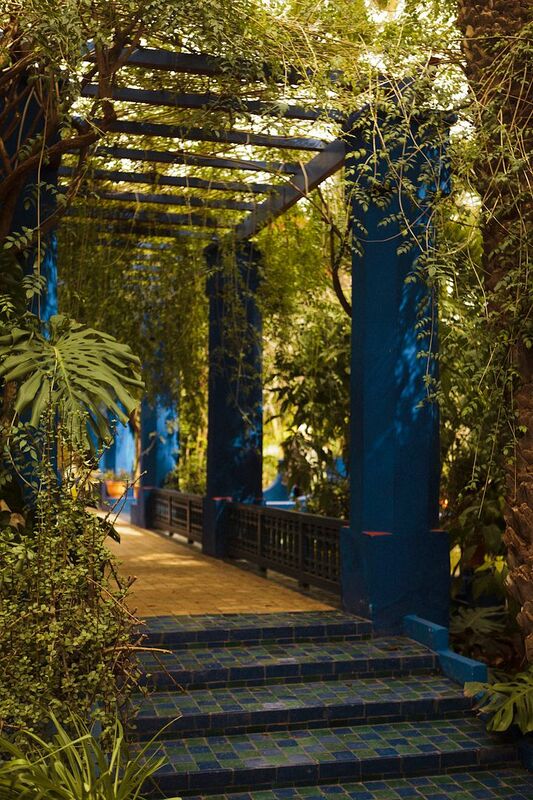 When I heard that photographer MB Maher was headed for North Africa, I made a special request that he photograph the Jardin Majorelle in Marrakesh, Morocco. 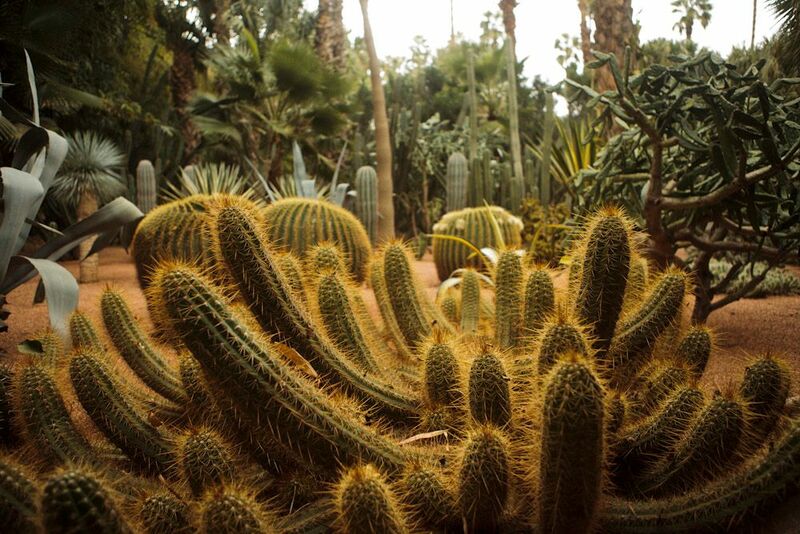 For about 50 dirham, roughly $13.61 in US dollars, the Jardin Majorelle is open to everyone year round. Boy, do I owe Maher for this one. 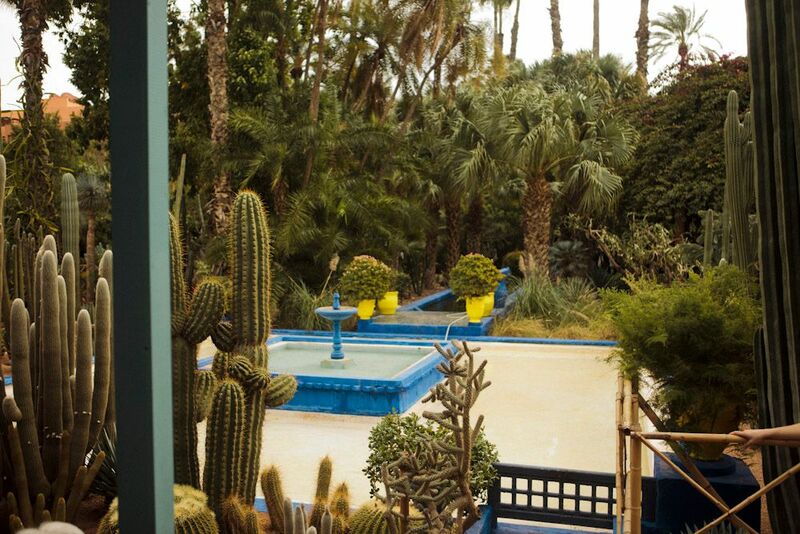 The shocking blue garden draws on the ancient Islamic garden tradition born of arid regions and the ideal that Paradise can still be found on earth, but is the unique vision of an expat French artist. 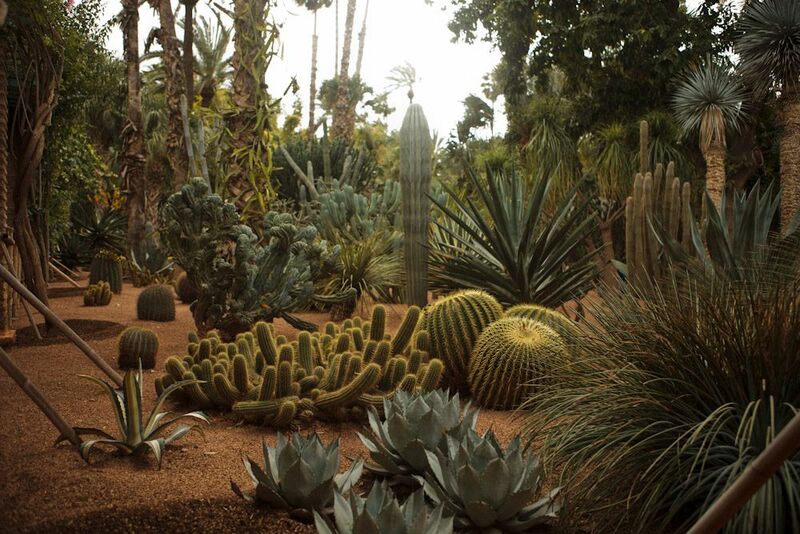 That vision was rescued from oblivion by Saint Laurent, who restored then bequeathed the 12-acre garden to the foundation bearing his name and that of his partner, Pierre Berge. I’ve added some quick-sketch general context from books I had handy and pertinent websites. 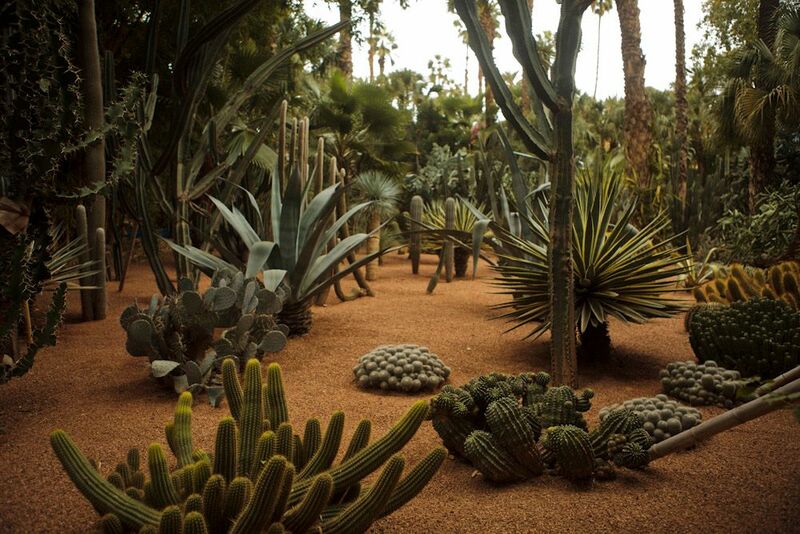 Notwithstanding the formal design elements near the artist’s studio, this is obviously the garden of a plant collector and includes desert plants from the Western Hemisphere, like cacti and agaves, along with their Eastern Hemisphere counterparts adapted to similar conditions, such as many in the Euphorbiaceae family. The rigorous attention to spacing in a garden of this age is impressive. 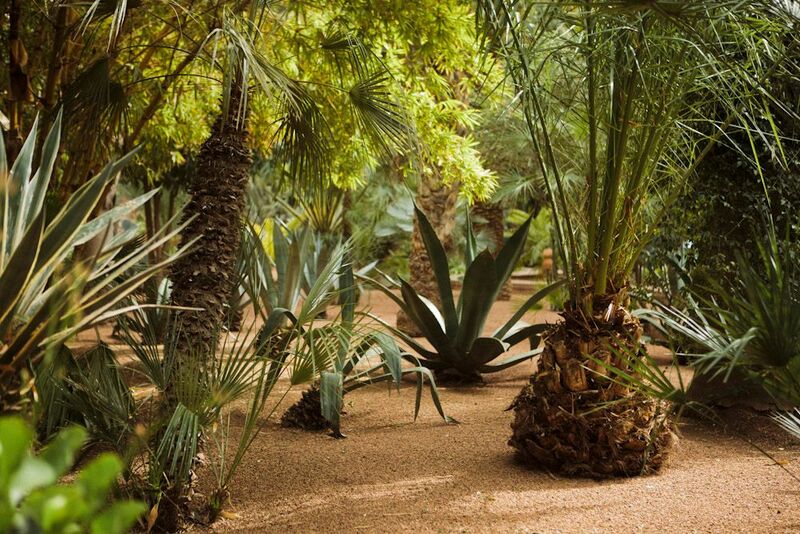 The Moroccan botanist Abderrazak Ben Chaabane is credited for the redesign of the plant collections. 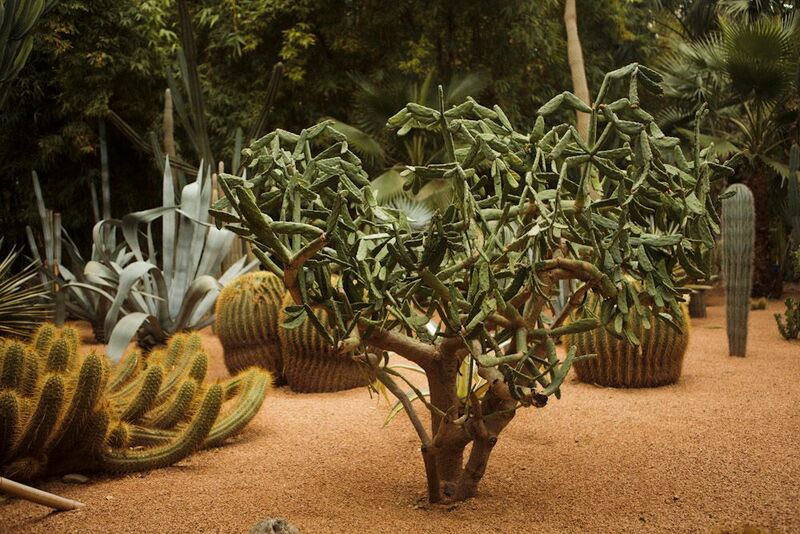 This garden with over 70 employees is so carefully swept and manicured it reminds me of a diorama. 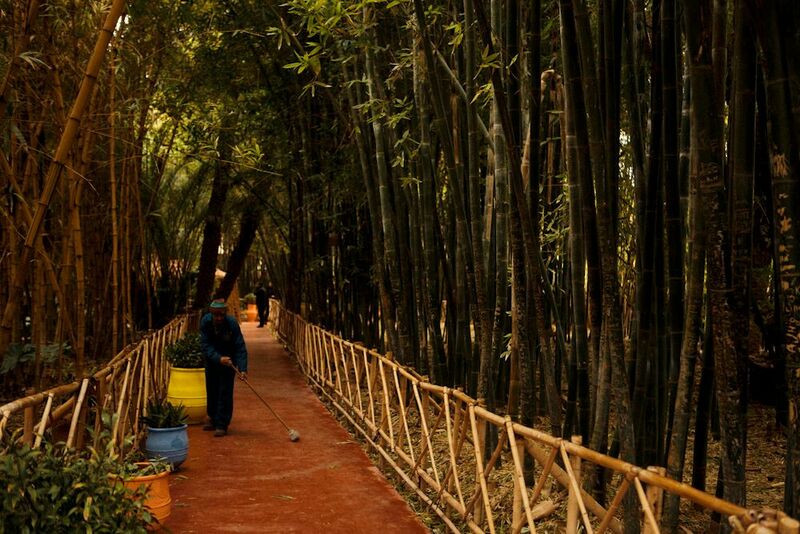 The pathways and mulch allude to Marrakesh’s nickname as the “Red City” or “Ochre City” because of its ancient red sandstone buildings. The mulch is from local crushed stone. 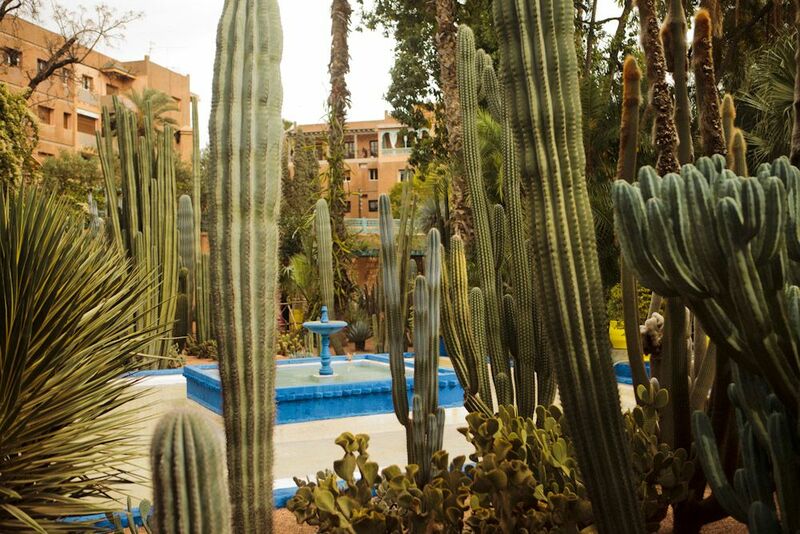 The apartment buildings of modern Marrakesh press in on the garden, which receives over 600,000 visitors a year. Yet there are still quiet places to be found. 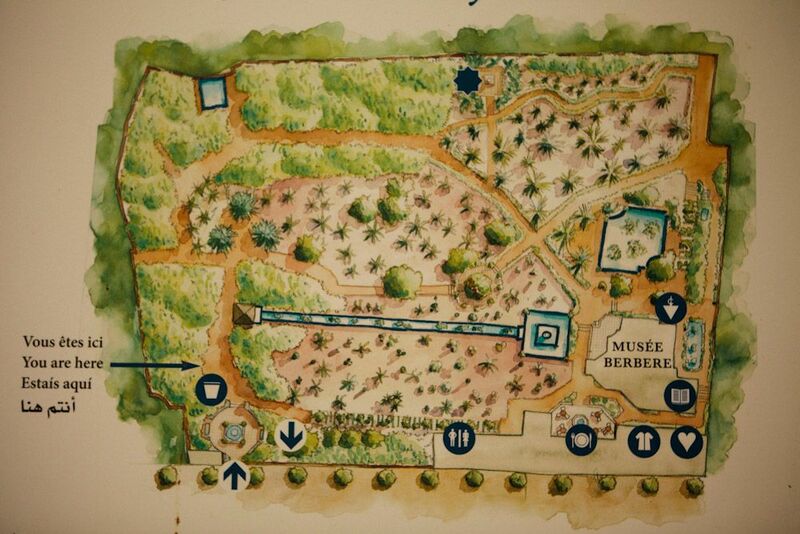 The map shows the formal design elements, including the rill, but also the extensive rambling paths characteristic of a botanical garden. 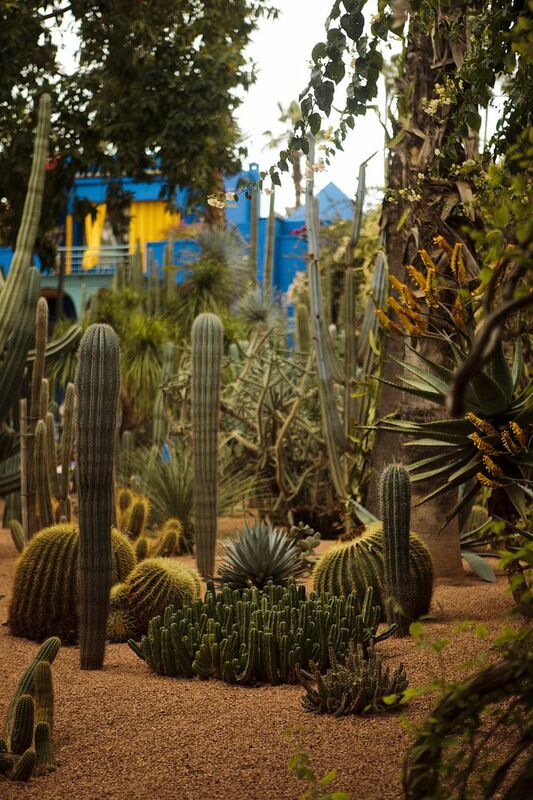 One last glimpse of bleu Majorelle. Suzy Menkes remembers Yves Saint Laurent here. 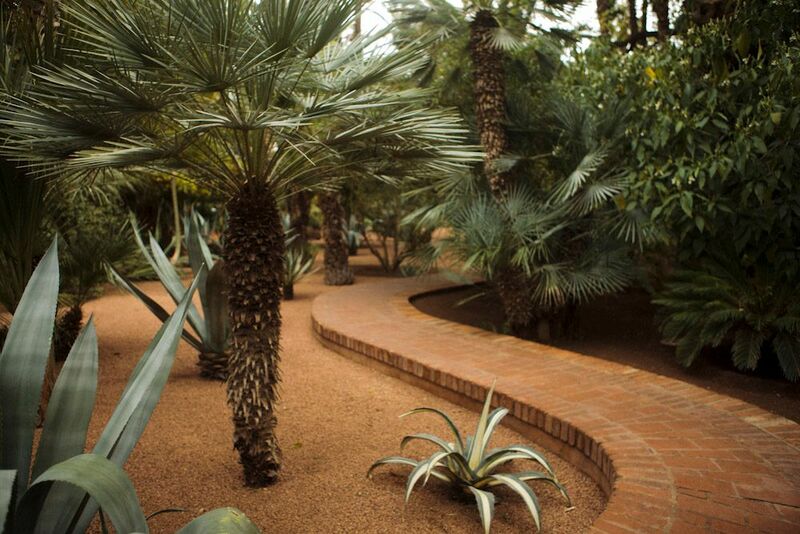 Addendum: Recent New York Times article on garden designer Madison Cox, Vice President and general director of Jardin Majorelle. 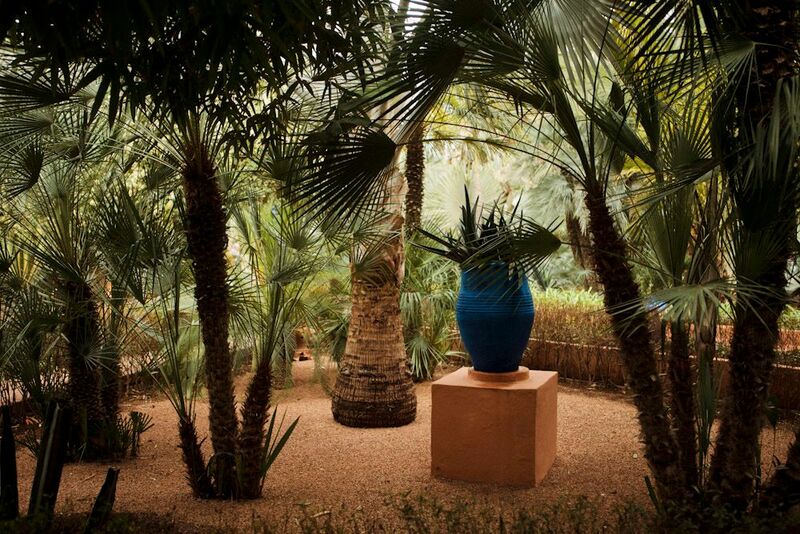 This entry was posted in agaves, woody lilies, artists, design, garden travel, garden visit, MB Maher, Plant Portraits, succulents and tagged bleu Majorelle, Fondation Pierre Bergé - Yves Saint Laurent, general director Jardin Majorelle, Hugh Johnson, Hugh Johnson's The Principles of Gardening, Jacques Majorelle, Jardin Majorelle, Madison Cox, Marrakesh, Morocco, Robert Pogue Harrison, Suzy Menkes, The Principles of Gardening. Bookmark the permalink. Quel talent !!! 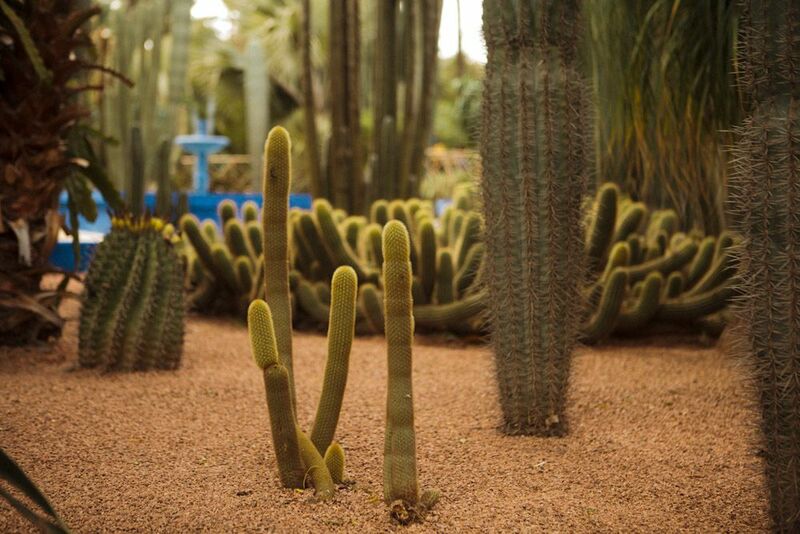 All what i love is in this post : You (your purchase of photos from Jardin Majorelle was a great idea, merci ! ), the photographer (MB Maher is definetly the best photographer i know – ever-) and Yves Saint Laurent’s muse (not on the photos), posing between the palmtrees to make the fashionistas dream about her roadtrip. I love you 3, and you too, Yves. What a way to start my day! Thank you Denise, thank you MB…wow. Loree, that’s how I started my day yesterday seeing these photos roll in. 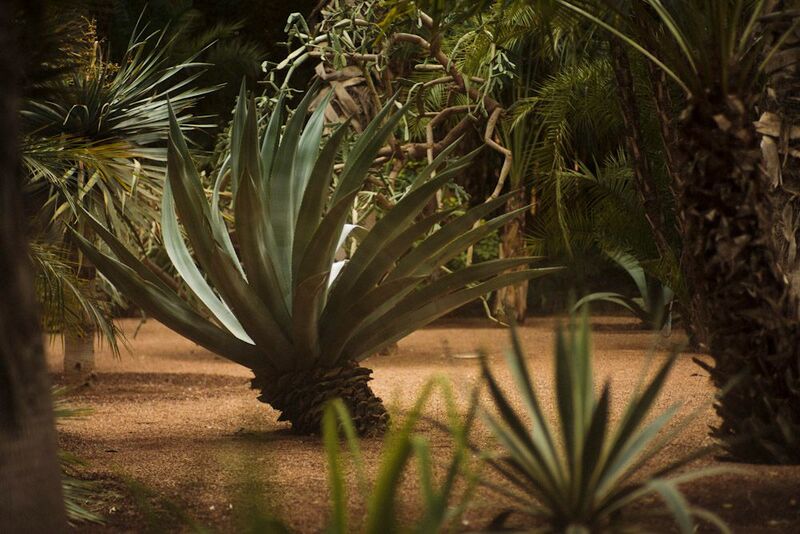 Interesting how they clear out the old agave leaves. 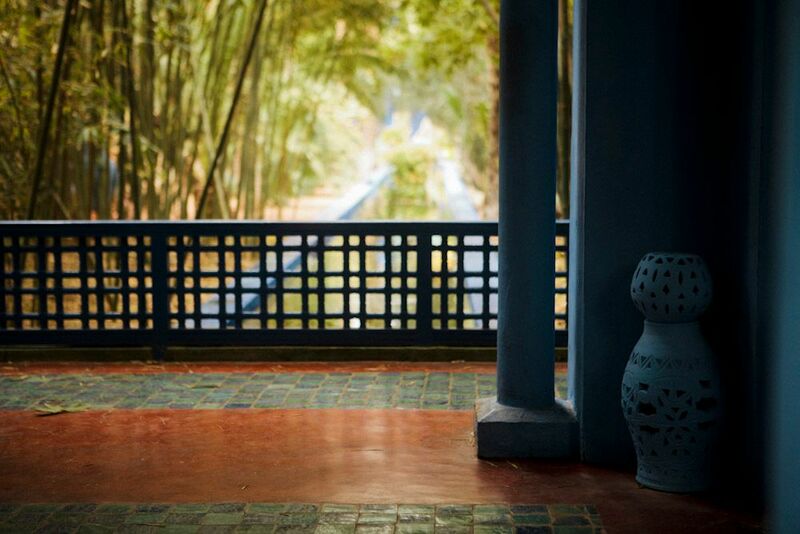 Amazing photos, and that blue… had me thinking of Yves Klein, which lead to ‘International Klein blue’ …which is very different ! Oh my! 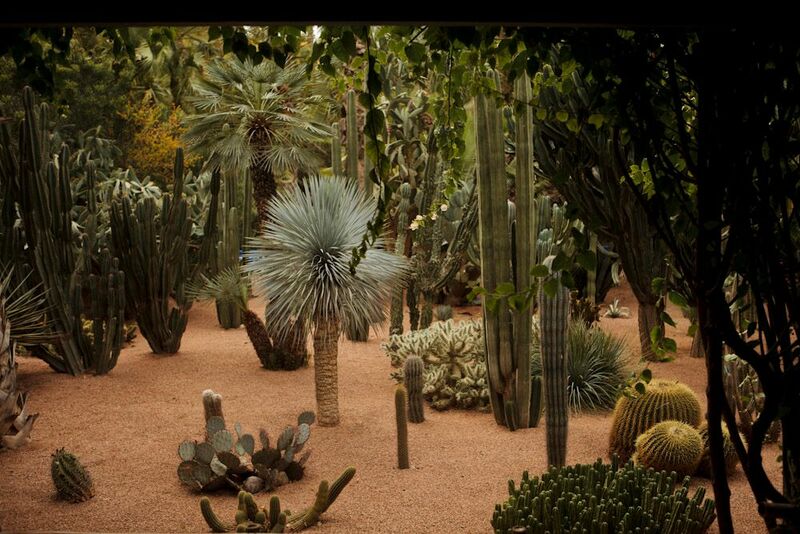 Looks like one of the beds at the Huntington Desert Garden would look if one of the beds at the Huntington Desert Garden was maintained by a staff of 70. So immaculate! 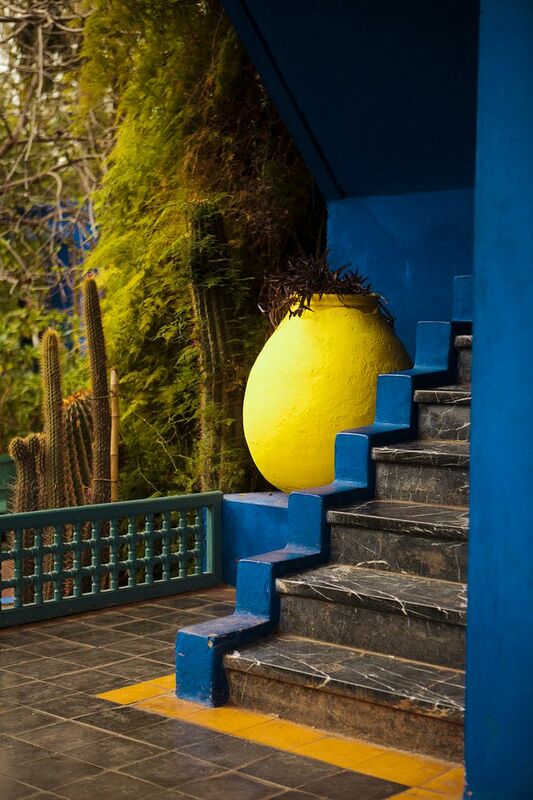 And also love that bleu. 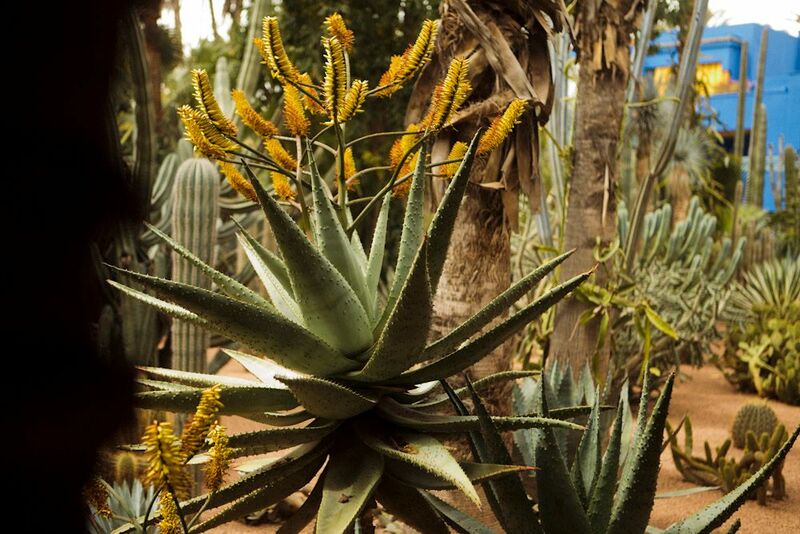 I saw that same Agave trimming in Arizona. Do high temps kill off the old foliage? 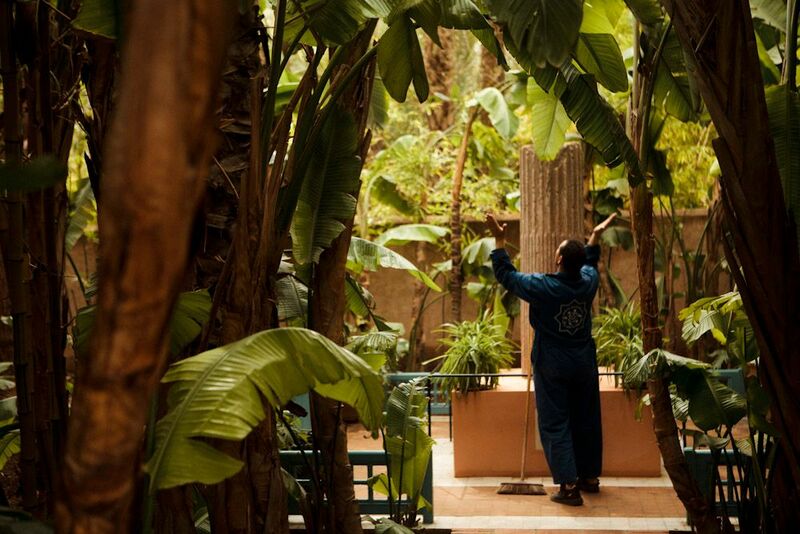 The Moroccan botanist Abderrazak Ben Chaabane is my fvourite. 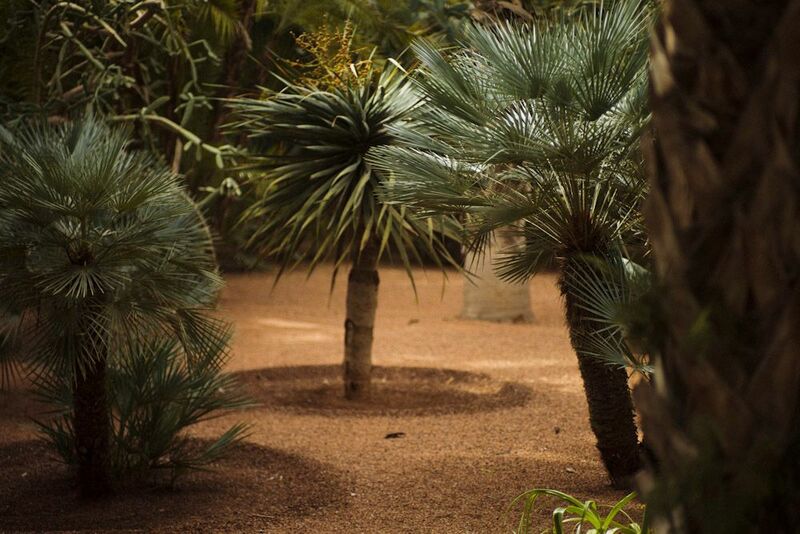 The arrangement of the garden is so beautifully laid out for us to see. Getting into the garden thing this year. Hope it will turn out fine. 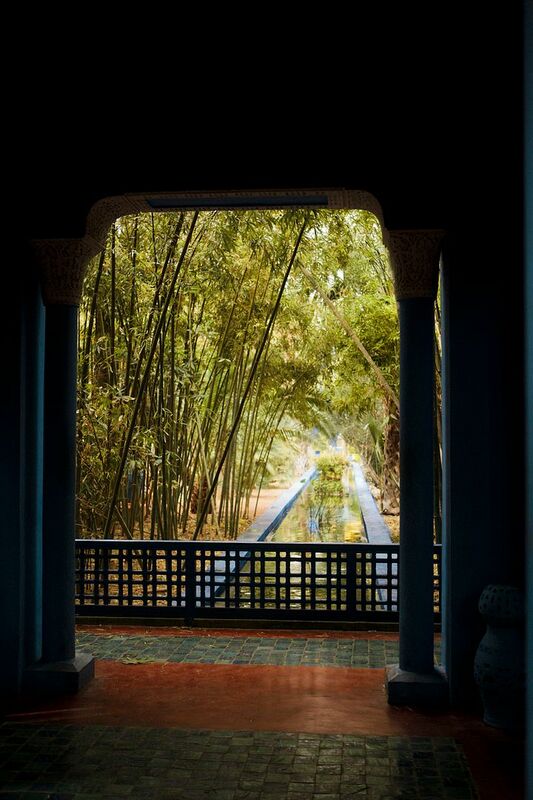 I so enjoyed reading this post and seeing the beautiful photography of Mitch Maher. Where ever he may be roaming, if you see him, please give him my best. 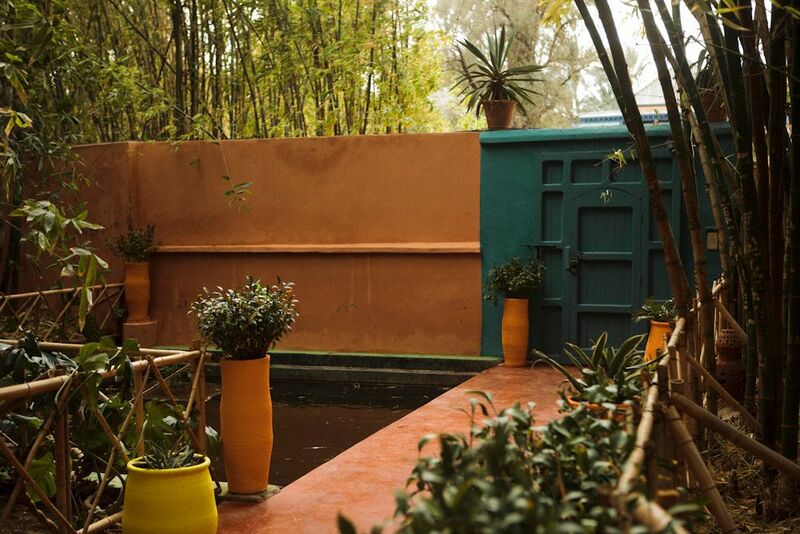 Traveling off to Morocco this coming May. Thank you for the preview through the lens .